The Charité - Universitätsmedizin Berlin - is the largest university hospital in Europe. It extends over four campuses with more than 100 clinics and institutes, that are bundled under 17 Charité Centres. With a staff of more than 12,800 full-time positions, the hospital handles 127,400 inpatient and 500,000 outpatient cases a year. The Charité has produced 10 Nobel Prize winners and has a worldwide reputation for excellence in medicine and research. 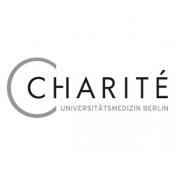 The Centre for Stroke Research Berlin - CSB is one of the Charité Centres focussed on clinical and basic research on stroke and on the cerebro-cardio vascular disease complex. The CSB was founded with direct support from the Federal Ministry of Science (BMBF). It has developed a highly competitive research environment for more than 80 clinical and basic scientists with supportive structures, such as a certified Clinical Trial Unit that currently coordinates approximately 40 local and multicentre observational and interventional clinical trials. The Department of Cardiology has long-standing and widely published experiences with pathophysiological and clinical trials in chronic illness. A wide spectrum of methodology and assessment methods from a range of medical and applied basic science specialties is available ensuring a truly interdisciplinary approach. The Charité will act as country coordinator in Germany for the SECURE Project with Prof. Wolfram Döhner, MD, PhD as the national Principal Investigator. Wolfram Doehner, MD, PhD, FESC, Professor for interdisciplinary Stroke Research. Wolfram Doehner has worked at the Franz Volhard Klinik for Molecular Cardiology in Berlin, at the Royal Brompton Hospital, London, and at the Cardiology Dept. at the Virchow Campus of the Charité, Berlin. He earned a PhD at the National Heart & Lung Institute of the Imperial College London, UK, on metabolic and vascular studies in heart failure, particularly on studies of impaired energy metabolism and insulin resistance in patients with CHF. His research focus is on metabolic changes and skeletal muscle metabolism in chronic diseases, insulin resistance, sarcopenia, cachexia and on metabolic interventions. He is PI of a number of IIT proof of concept clinical trials. He has been appointed to implement the Study Group on Heart & Brain Interaction by the Heart Failure Association (HFA) of the European Society of cardiology (ESC) and works in the European Association of Cardiovascular Prevention and Rehabilitation (EACPR) to establish a novel Section of Cardiometabolic & Nutritional Health. He shows continuous publication activities in leading clinical journals (over 286 peer reviewed publications, Book chapters, published abstracts, total citations: 3596; H-index: 29, Thompson Reuters as of 12.6.2014). Nadja Scherbakov, MD, Clinical Scientist. Since 2009 Nadja Scherbakov has worked as Clinical Scientist at the Center of Stroke Research Berlin (CSB), in Charité Medical School, in the group of Prof. Wolfram Doehner in interdisciplinary stroke research. Previously, she obtained a Postdoc in Vascular Biology, Cell Biology, Neurophysiology at the Medical University of Innsbruck, Austria and worked as a Physician in Neurology/Neurorehabilitation. Her focus of work is on metabolic and vascular studies in the patients with cardiovascular diseases, including heart failure and stroke. She has experience in clinical research (pathophysiology and proof of concept studies), basic science (cellular and molecular biology, electron microscopy, fluorescent microscopy, animal studies). She is deputy investigator at the Charité study site. Antje Meyer, (Dipl.) Scientist. Her research during her PhD focusses mainly on sarcopenia, telomere biology and body composition. Since she joined the Charité in 2013 she has worked in the Research Group on Geriatrics and additionally as a guest scientist in the Institute of Medical and Human Genetics. She joined the Center of Stroke Research in 2015 and is the national project coordinator of the SECURE trial in Germany.